Seb longs for another life. A life far away from the remote farm that is now his home. A life far away from his mundane chores and short-tempered father. But when new neighbours move in, Seb hopes his luck is finally about to change. Could Jake, the enigmatic boy with a dangerous glint in his eye, be Seb’s ticket out of The Nowhere? And if so, how far are they both willing to go to escape? Tender in parts, brutal in others, The Nowhere is a coming-of-age story that will not only resonate with the LGBT+ community, but anyone who has been young, isolated and infatuated – all at once. Chris Gill is an up-and-coming author currently based in Sydney, Australia. His dystopian debut, Shell, was an underground success, climbing the post-apocalyptic charts in both Australia and the UK. 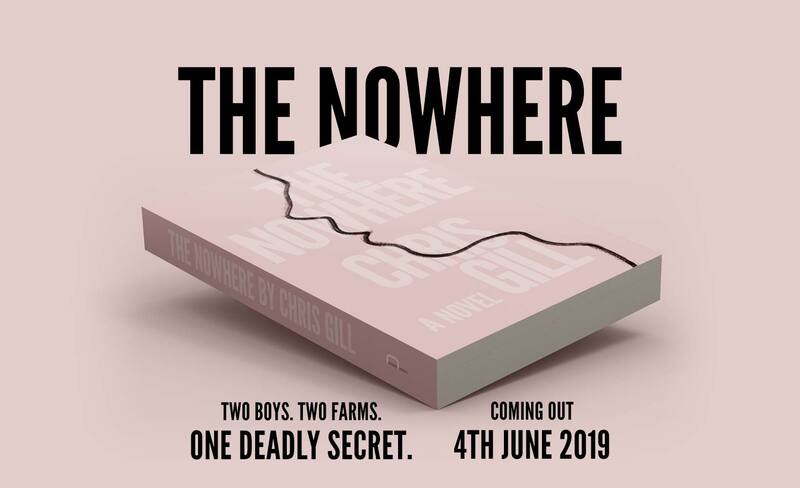 His new book, The Nowhere, is an Australian coming-of-age novel coming out 4th June 2019. After working on my new novel for nearly two years, I'm so excited to finally be starting the rollout to its release. 2019 has only just got started and I've already revealed the front cover and release date of my Australian coming-of-age novel, The Nowhere. My novel The Nowhere proudly features a gay protagonist with his coming to terms with his sexuality a focal point to the coming-of-age narrative. This aspect to the novel is nothing new to literature, offering an outsider’s perspective that lends to a story. It heightens the intrigue for some while making it relatable to many – after all, we’re all outsiders in one way or another.I’ve pulled a selection of must-read novels with gay protagonists that have each been influential in their own way. Time to get reading! As I was writing my new novel The Nowhere – an Australian coming-of-age novel with LGBTI+ themes – it dawned on me that it could be a tricky book to market. This is because even when I came up with the original concept and sketched out my plan, I knew I wanted to create a juxtaposition between the protagonist’s story being told as both a teenager and an adult.